The lowest part of the spine is called the lumbar spine. This area usually has five vertebrae. However, sometimes people are born with a sixth vertebra in the lumbar region. The base of your spine, called the sacrum, is a group of specialized vertebrae that connects the spine to the pelvis. When one of the bones forms as a lumbar vertebra rather than part of the sacrum, it is called a transitional, or sixth, vertebra. This occurrence is not dangerous and does not appear to have any serious side effects. The vertebrae in the lumbar spine area are the largest of the entire spine. So the lumbar spinal canal is larger than in the cervical or thoracic parts of the spine. The size of the lumbar spine allows for more space for nerves to move about. Low back pain is a very common complaint for a simple reason. Since the lumbar spine is connected to your pelvis, this is where most of your weight bearing and body movement takes place. Typically, this is where people tend to place too much pressure, such as when lifting up a heavy box, twisting to move a heavy load, or carrying a heavy object. These activities can cause repetitive injuries that can lead to damage to the parts of the lumbar spine. 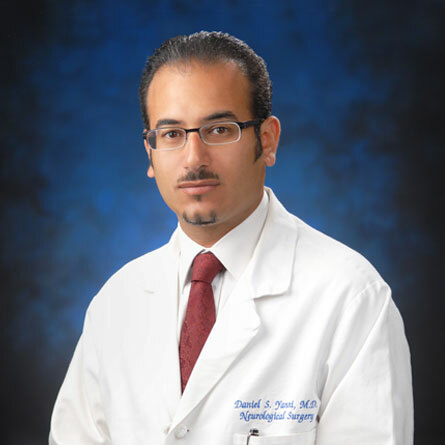 Dr. Yanni is a Board-Certified, Spine Fellowship trained Neurosurgeon, with an emphasis in Minimally Invasive Spine Surgery. He’s also one of the few surgeons in the country who specializes in Complex Spine Revision Surgery. Rated #1 by his peers and patients alike, Dr. Yanni continues to research and develop new innovated approaches to surgery. Dr. Yanni is a fantastic surgeon with an actual personality, who solved my issue completely.